We had a great afternoon out last weekend at a local secondary's school's STEM (Science, Technology, Engineering and Maths) Festival - the girls really enjoyed experimenting and joining in with all sorts of things from rainbows in test tubes to trying out Army minesweepers. 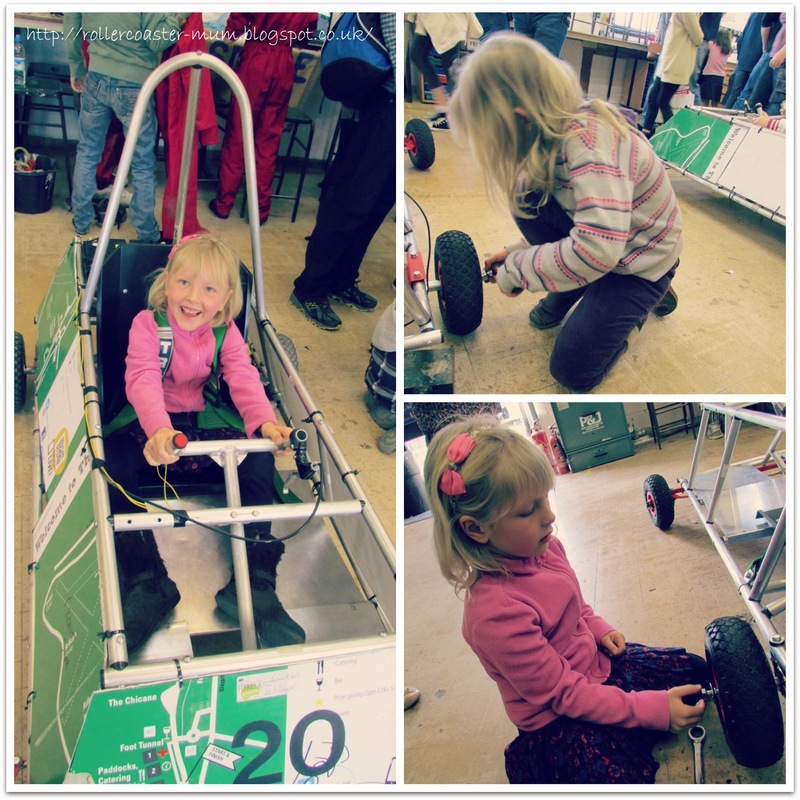 Although I posted a collage photo for last weeks ' Year 2014 in Photos' I thought that being National Science and Engineering Week (albeit near the end) I should do a longer post about it too. I am all for encouraging kids to do more science. 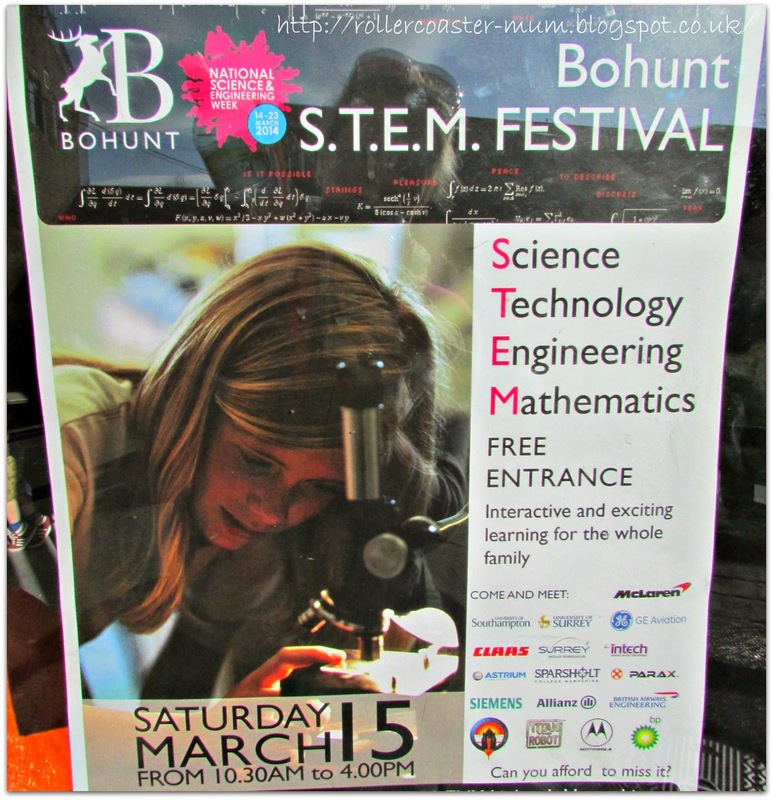 Poster for the fab local STEM Festival and it was freeee!! 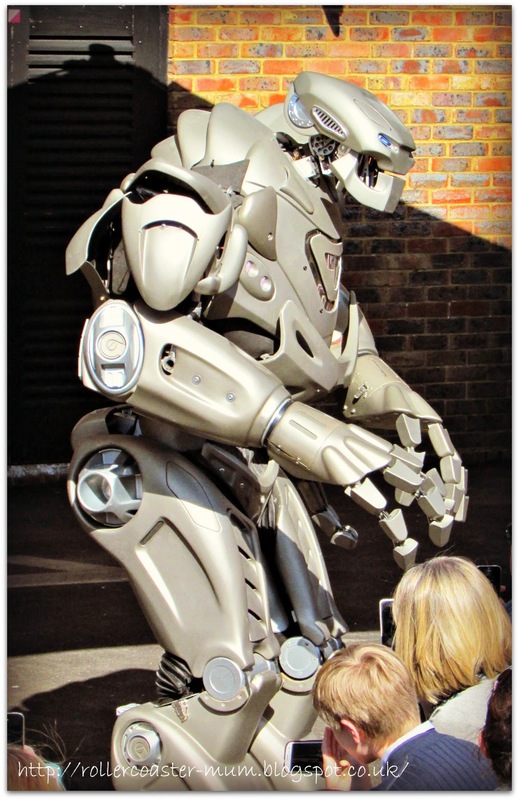 Titan the 7 foot Robot was very entertaining, even dancing Gangnam style. 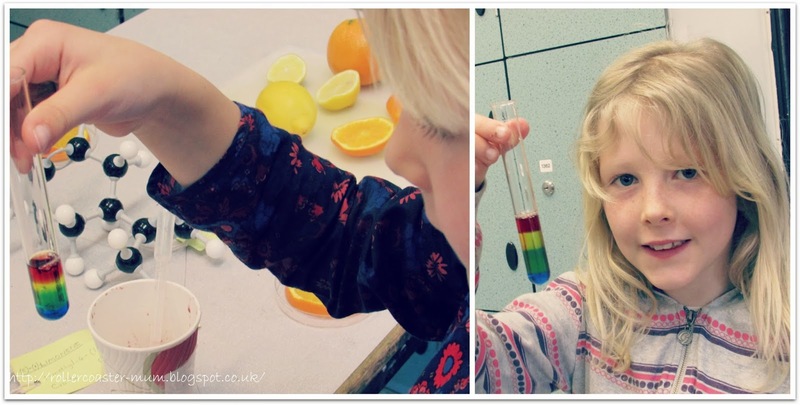 Making a rainbow in a test tube - if you want to know how it worked it was done with different coloured sugar solutions made at different concentrations. 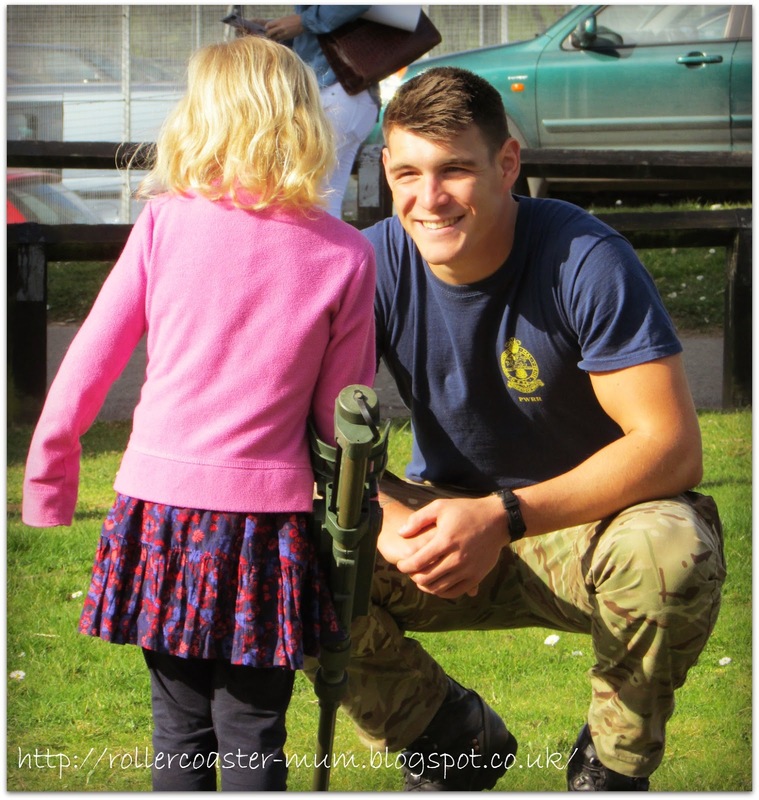 Little Miss trying out the minesweepers with the Army - not sure if it was the equipment or the soldiers that made her want to give this one a go!! You could hold and touch all sorts of not so mini beasties and admire some slightly odd ones like the Pacman Frog. The girls were surprisingly fascinated by this exhibitor - especially the wheel changing which they were insistent on doing - think it was something to do with the tools! There was loads of other stuff to do - almost too much, we just didn't find everything but all in all it was great afternoon out and hopefully they inspired lots more kids to give Science a go. I had the best of intentions to dust down the science kit that Bigger Miss got for Christmas but we only managed one short 'experiment' on Friday after school. The girls were very excited by the exploding 'volcano' even if it didn't exactly 'explode' - next time more baking soda maybe? The fair has definitely inspired me to try more simple science stuff with the girls. 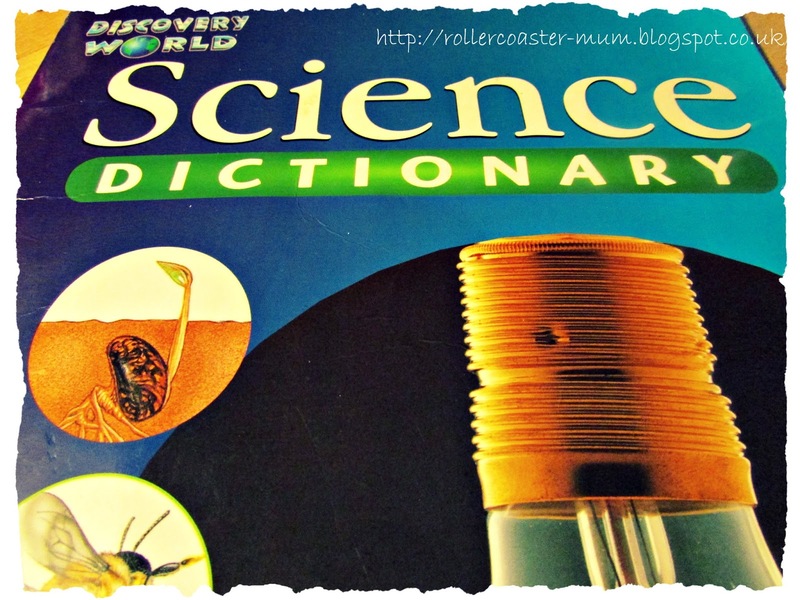 Meanwhile Little Miss totally coincidentally got given a 'Science Dictionary' as her reading book for the weekend - not exactly an ideal read for a 6yo and definitely a little odd from the literacy angle but she has actually been quite interested in it. 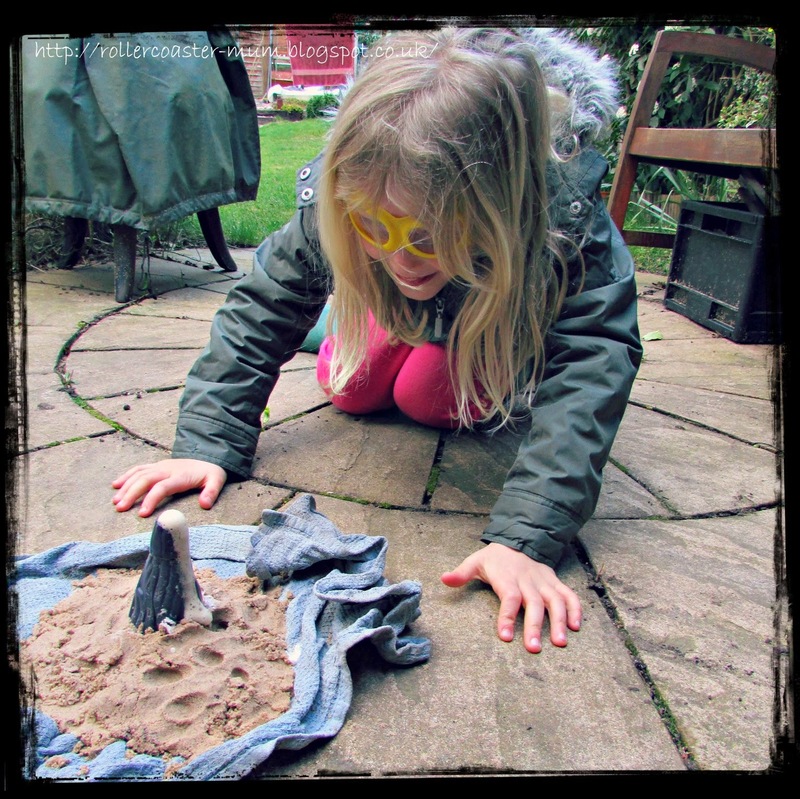 Bigger Miss checking out her exploding Volcano - complete with safety goggles! 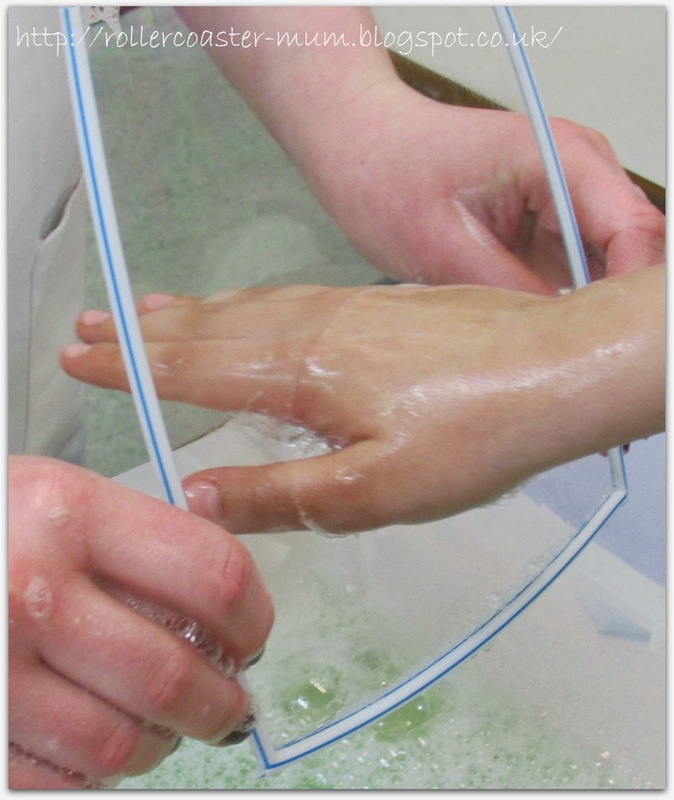 It works with vinegar (acid) and Sodium Bicarbonate (otherwise known as baking soda) reacting together. Little Miss's school reading book for the weekend was bang on theme! I hope that at least some of you might be inspired to visit a Science event, do some simple science at home or generally just try to inspire our kids to do more science. This event sounds ace. 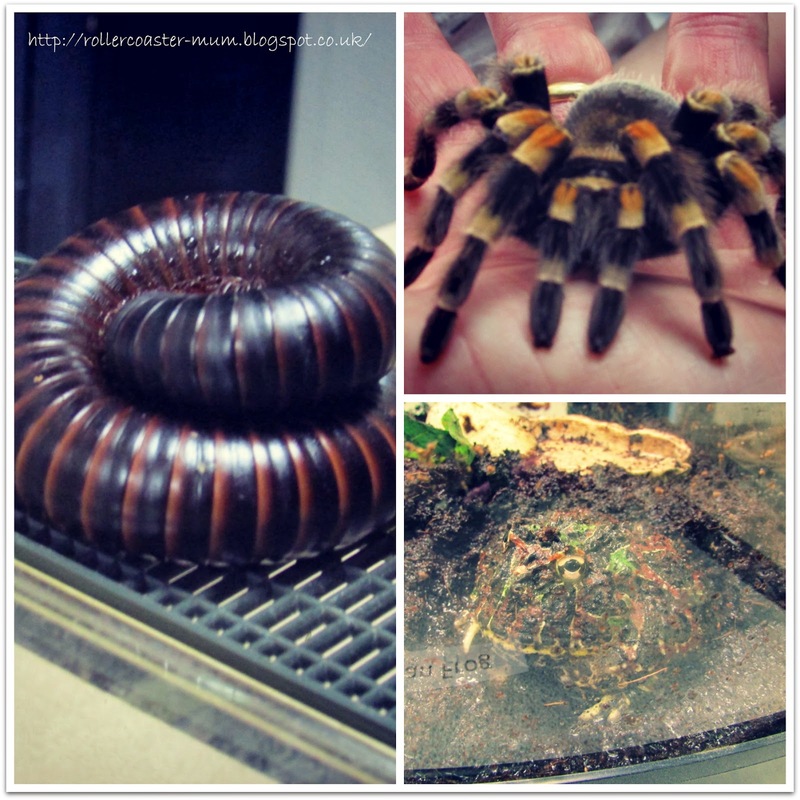 And those creepy-crawlies are amazing....sounds as though the whole thing really inspired your girls. What a fabulous event! I wish somewhere around here would do something like this. It looks fantastic!